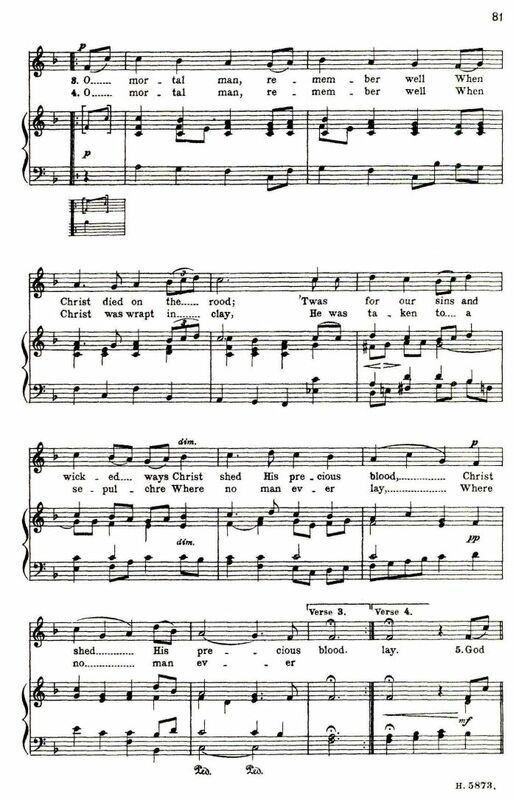 Source: Lucy E. Broadwood, ed., English Traditional Songs and Carols. London: Boosey & Co., 1908. 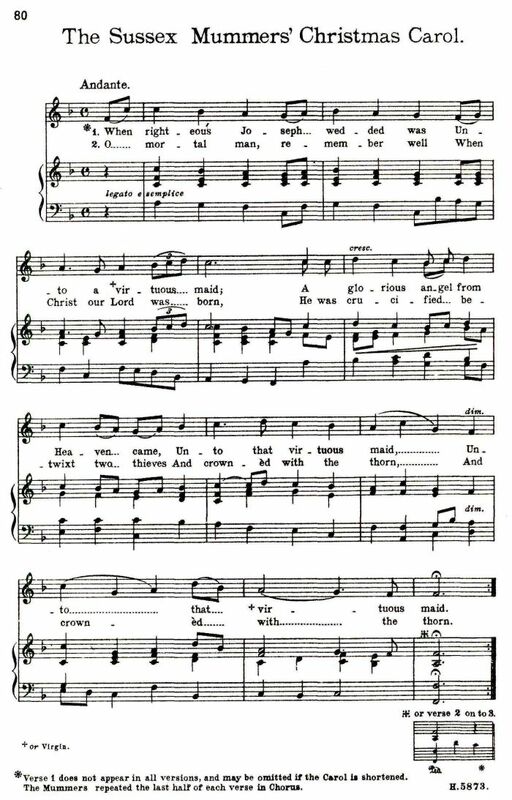 Singers who wish for a fuller accompaniment with fewer verses may have the beautiful arrangement by C. A. Lidgey, called “The Mummers’ Carol” (Boosey & Co.). Compare: The Sussex Mummers Carol. 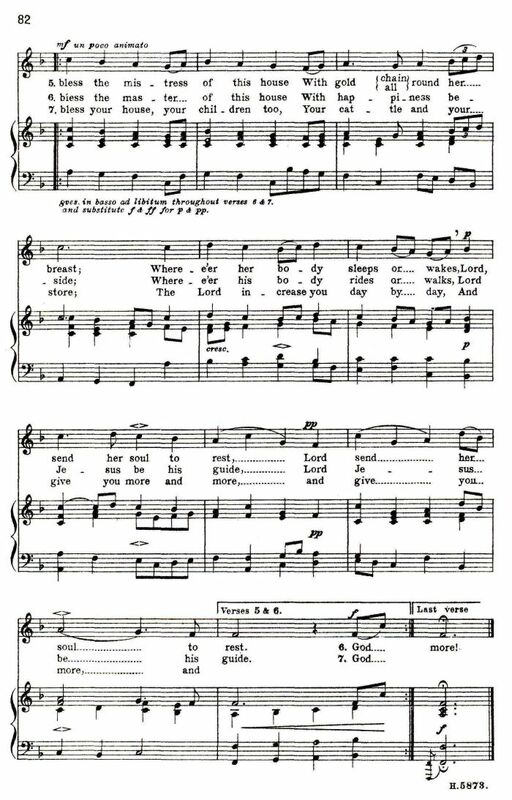 Broadwood noted that the first verse may be omitted when fewer verses are desired. Especially in that case, compare: Remember, O Thou Man.